Dan Harris is the co-anchor of ABC’s Nightline and the weekend editions of Good Morning America. 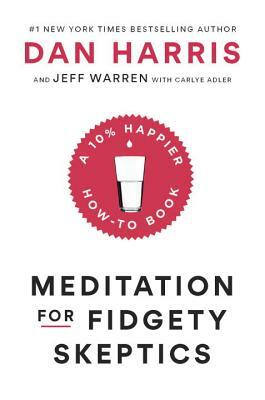 He wrote 10% Happier, a #1 New York Times bestseller, then launched the 10% Happier podcast and an app called 10% Happier: Meditation for Fidgety Skeptics. He lives in New York City. Jeff Warren is a writer, a meditation instructor, and the founder of the Consciousness Explorers Club, a meditation adventure group in Toronto. Carlye Adler is a journalist and co-author of many books, including three New York Times bestsellers.